"This Norwich Yard is approached through a very narrow entrance and has a labyrinth of passages and openings leading from it. 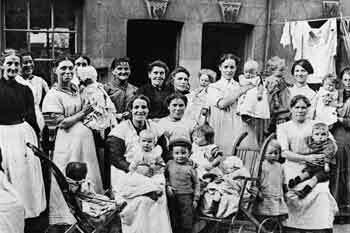 On the wall of the house opposite the pump from which the water supply is derived there were marks of an accumulation of filth two feet high. At the time of the visit there was refuse and decaying matter around the pump and dirty water standing about round the drain, in at least half a dozen places . . . 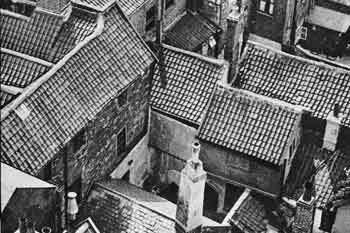 In the middle of the passage was a drain blocked with refuse……"
Norwich’s Courts & Yards represent a fascinating part of Norwich’s history yet they continue to play a part in city life in the 21st century. 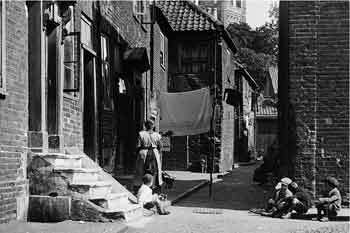 On this site we pull together information from a range of sources which has been supplemented with interviews of people who remember both the Yards and Norwich of the 1930s. 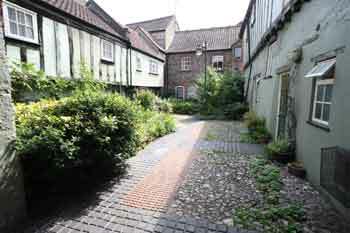 Michael and Frances Holmes publish under the name of Norwich Heritage Projects. We are an independent non-profit-making organisation which simply aims to encourage an appreciation of the heritage of the wonderful City of Norwich.